Soon after two terrifying explosions took place at Brussels Airport on Tuesday, international airports across the world amped up security and deployed larger numbers of personnel as cautionary measures. Travelers were advised to arrive early for more rigorous pre-flight security checks, and the U.S. State Department issued a travel warning for all of Europe in light of heightened terrorist activities. Brussels Airport accommodates 23.4 million passengers a year, but all flights in and out of Brussels were canceled Tuesday and, as of this time of writing, the airport will remain closed through Wednesday as authorities continue their investigation into the attack. In the U.S., the TSA announced on Tuesday it would beef up security at major U.S. airports and at rail and transit stations in light of the Brussels attacks even though authorities believed there was no existing credible threat against the country. "As I have said many times, 'If You See Something, Say Something' is more than a slogan," Homeland Security Secretary Jeh C. Johnson said in a statement. "Public awareness and vigilance are vital to our homeland security efforts, and have in fact prevented terrorist or criminal acts in the past. In today’s environment, we urge the public to continue to travel, visit public events and places, and continue with their daily lives, but at all times be aware and vigilant." 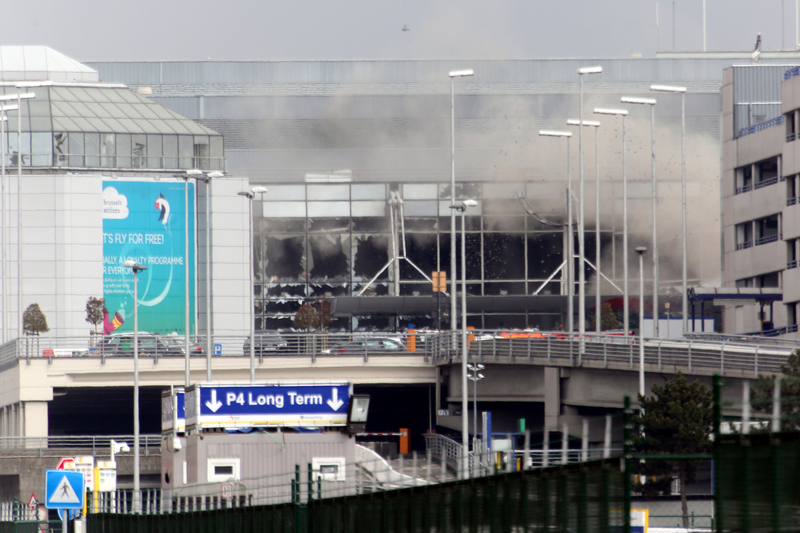 But one of the most frightening things about the explosions at Brussels Airport was the fact that they happened inside the facility's departure hall, which is easily accessible by anyone, even those without an actual plane ticket. As Brussels and the world cope with the senseless carnage that killed at least 34 people and injured another 250, it'll be imperative for airports to reassess their security procedures to ensure another assault like Tuesday's won't happen again.